Winter may be cold and desolate, but it’s always followed by spring. When the seasons shift, beautiful flowers bring new life to the landscape. Similarly, time will help to ease the grief that you feel about the loss of your loved one, so you can focus on the beautiful memories that you have of her life and the times you enjoyed together. 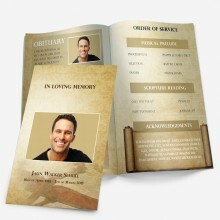 The Floral 8 Funeral Program Template features a symbolic reminder of this on its front cover. 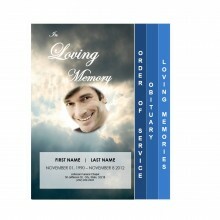 At the bottom of the obituary program template cover is a snowy landscape with large rocks in the foreground. Along the right side of the funeral service program template, you can see branches alive with the color of beautiful purple spring flowers. 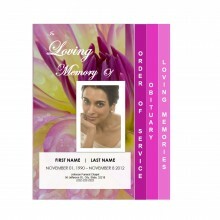 There is a place in the design of the memorial program template to add a photo of your loved one, the time of the funeral, her name and her dates of birth and death. 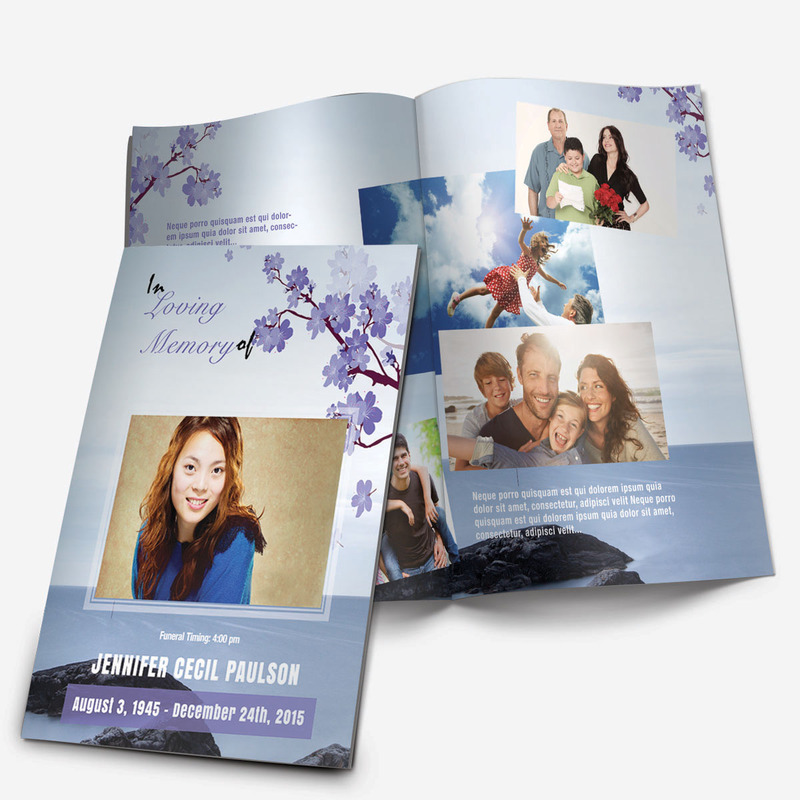 Inside of the Floral 8 Memorial Service Program Template is a photo collage that you can customize with favorite images of your loved one. 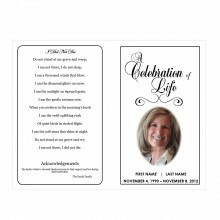 Text areas can be personalized with memories, scripture, acknowledgments, quotes and poems, so that you can create truly custom funeral programs for your loved one’s service.